Wonderful fun; heavily into those grinding sections. 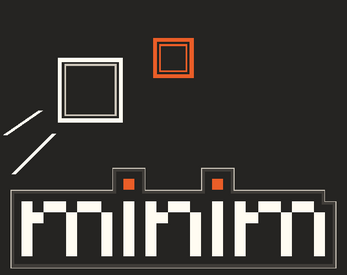 I really enjoyed playing Minim, moving my little box to the arpeggio, punchy soundtrack. The grinding element (hold 'up' arrow-key to grind orange platforms as they slowly sink, then release to jump off) added variety on top of the near pixel-perfect jumps, synchronised to the music. It took me about 15 minutes to complete. Each time my avatar died, I knew it was my skill that needed to improve. 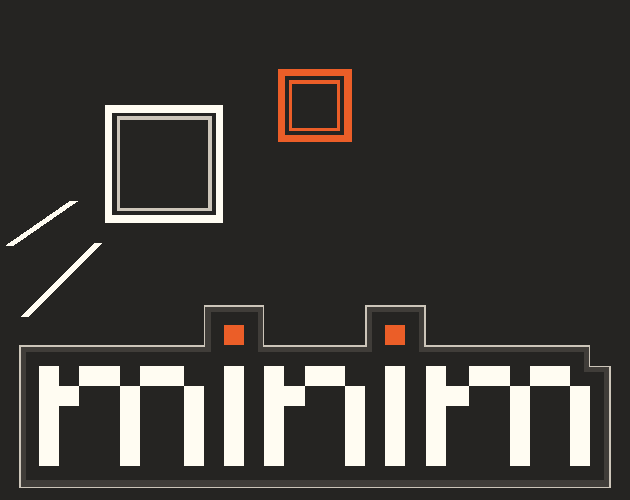 My daughter (7 next month) also enjoyed Minim, especially the music sync, and made it to the grinding platforms, playing again and again to almost near the finish for about 30 minutes. Strong game-play, design aesthetic and music cohere into a full package that I would recommend fleshing out into a fuller game with multiple levels and additional special moves and mechanics. This is really freaking cool! Love it. Very well done. Awesome game.